Media Magica I – Was geschah wirklich zwischen den Bildern? 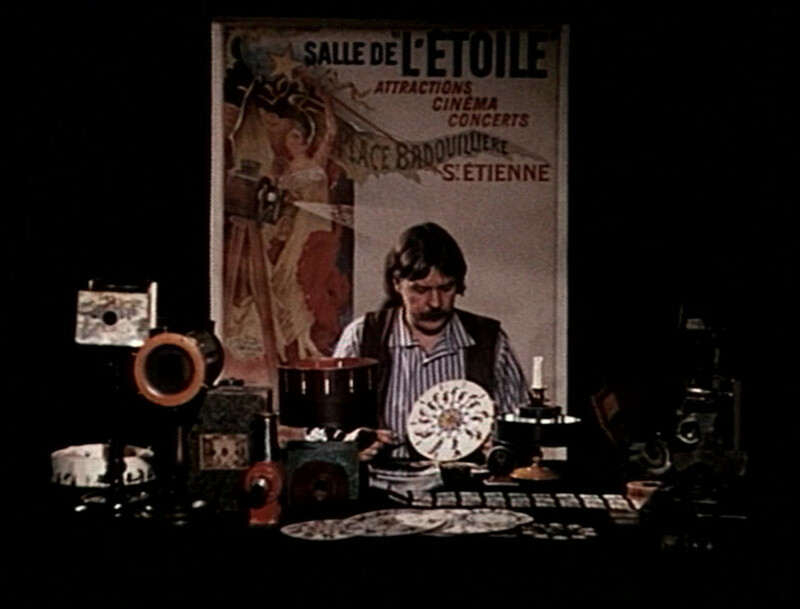 Media Magica is a series of short films, produced between 1985 and 1995, based largely on director Werner Nekes’ private collection of historical artefacts of visual media. Film Before Film (1986) opened a new chapter in Werner Nekes’ cinematography. Exploring the prehistory of cinema, the groundbreaking documentary is intimately connected with the director’s fascination with motion pictures and avant-garde innovations in visual media. Since the 1970s, the Nekes has been a passionate collector of optical illusion artefacts and other traces of pre-cinematographic visual media, such as machines, optical toys, literature and various curiosities. Before the Lumière brothers’ invention gave the world the magic of the cinema, people had attempted to capture movement for centuries. Various early optical illusion devices were a source of inspiration for inventors and entertainment for others. Based on his own research and collecting, Werner Nekes’ film takes viewers on a fascinating journey through time. From camera obscura to cinematography, from optical tricks in paintings to illusions playing on the physical imperfections of the human eye, Film Before Film is both an eye-opening history lesson and great entertainment. By sharing his collection and showing how the various objects work, the director elicits curiosity and emotional reaction – as all good illusions have always done.